Rapidograph is a well known pen in artistic niches, especially ones that focus on ink drawings. Being an established company that has been making virtually the same pen for over 30 years, Rapidograph has become known for its durability and simplicity. Available in a variety of different nibs and sizes, the refillable pen also allows for a wide range of ink types and customization. With many knock-offs and competitive brands, Rapidograph is in a constant battle with customer loyalty and retention. The competition almost always differs from Rapidograph in one key area, and that's in their reliability. Rapidograph achieves this with the products simple design and easy to understand mechanics. Anyone, after spending a few minutes with the pen, can safely handle and clean all the individual parts. 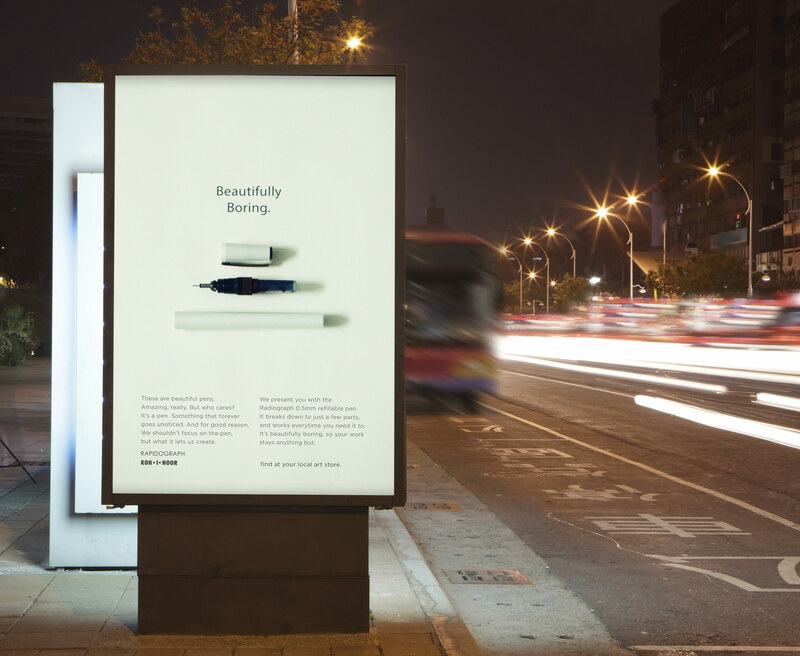 The proposed campaign highlights the beauty of this simplicity. Simple is boring, but it works. 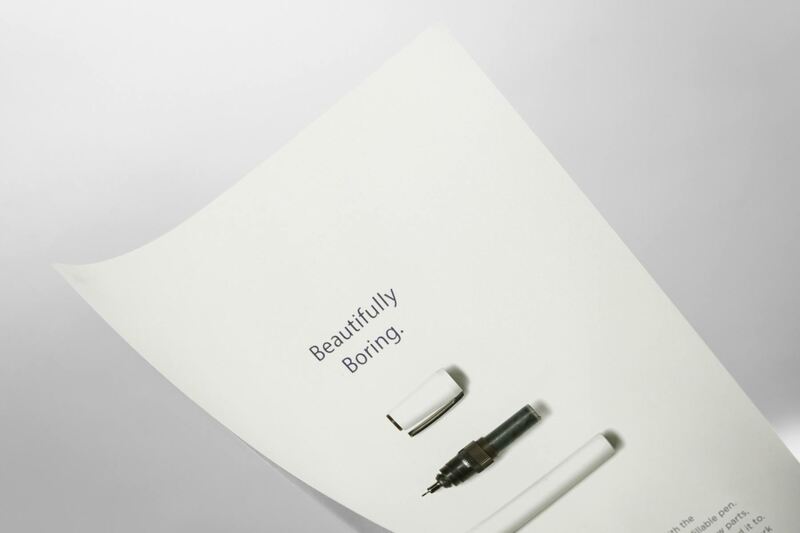 Beautifully Boring captures what a Rapidograph offers its users. 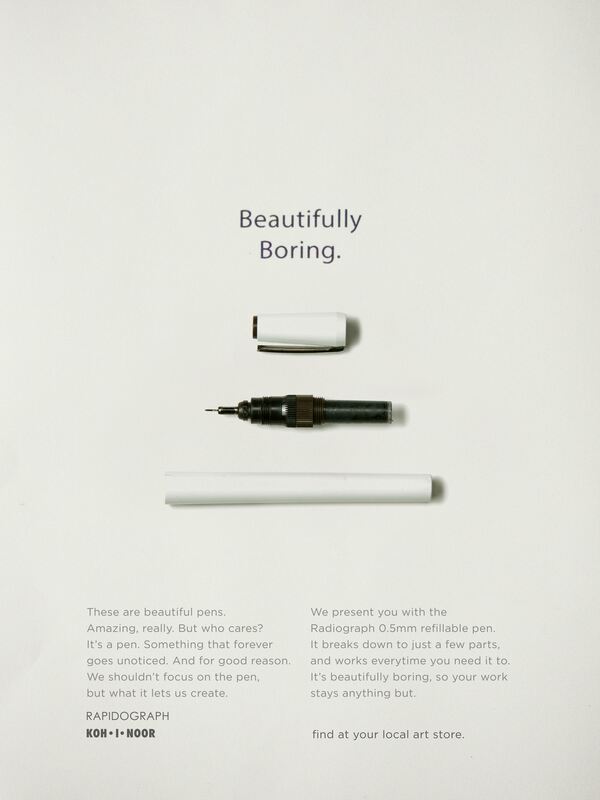 It's boring, so your work doesn't have to be. In order to properly support this simple messaging, a clean product shot with heavy shadow became a clear approach to supporting the copy and overall message of the ad. Wow, you've made it far.